Pick yourself a nice day, have a good wheaties style breakfast, throw on the hiking boots, grab the walking stick, camera, a picnic lunch and plenty of water and create yourself an adventure. "The Scenic Hudson Land Trust, Inc. has protected more than 1,900 acres of Fishkill Ridge, the northern gateway to the fabled Hudson Highlands. This rugged conservation area is home to eagles, falcons and numerous rare species. 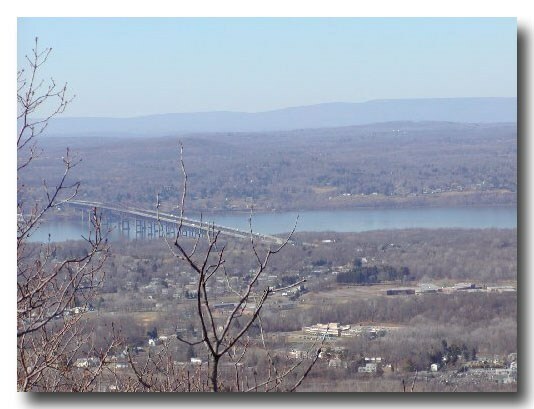 Scenic Hudson is fighting to preserve the ridge from desecration by a proposed mining project that would remove 50 million tons of rock during the next 140 years." This is a beautiful ridge with great historical and ecological value, thank you Scenic Hudson for protecting these lands. Visit the Scenic Hudson homepage to learn more about their worthy projects and beautiful parks and preserves. This cache hunt will test your endurance and creativity with a map. We invite you to explore this ridge with us. We took the Overlook Trail and I can assure you it earned every point of it's 4 star rating but is very gracious providing beautiful overlooks along the way. It is about 1 ½ miles to the cache on the Overlook trail while climbing over 900 ft in elevation. It took us approximately 1 ½ hours each way. The trail turns to narrow ridges with some boulder hopping towards the top. We'd like to hear what approaches other cachers will try and hope you will share with us your experiences... don't worry about giving anything away...it's going to be a challenge most any route I believe. You can make of this what you want and if an easier route is discovered, future cachers should be able to decide which challenge they are feeling up to. 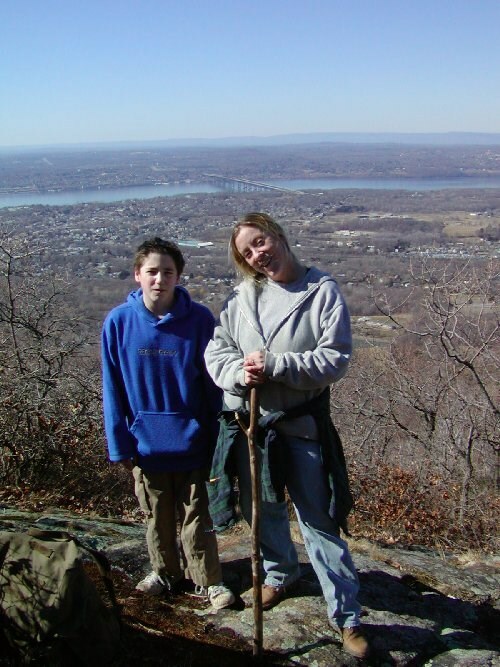 An East Hudson Trail map would be very helpful to plot your hike and you can read about the trails at The Fishkill Ridge Caretakers Homepage Please stay on the trails and respect the Ridge. To see more of the park regulations click here. We're sending off the Dancing in a Steel Lotus Travel Bug as we've added a shiny speckled coating of rust compliments of the Tribe. **Note Added 2/24/02** This a known breeding ground for the Eastern Timber Rattlesnake. It is unlikely you would run into one but you may want to read a little about them beforehand. Areas of the ridge are restricted to protect this endangered species. Vg vf uvqqra va zvqqyr bs n zhygv-gehaxrq gerr pbirerq bire jvgu onex naq oenapurf. Gini and Tom Gini and Tom with that "Where almost there look about them".